It seems as though I’m on a bit of a cookie kick these days. I keep saying that I’m looking for new recipes for holiday baking, but the truth is I just like to eat cookies. Unfortunately, I live with a bit of a “cookie monster” and cookies always go so fast around here that I don’t get to eat too many. 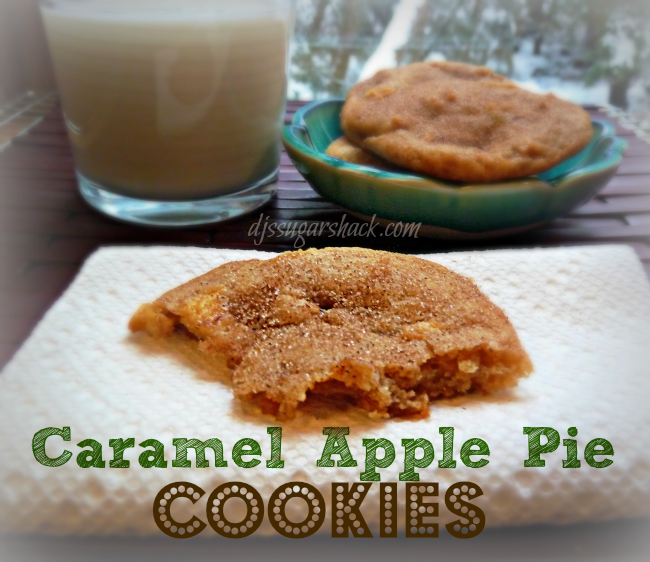 That was definitely the case with these Caramel Apple Pie Cookies. 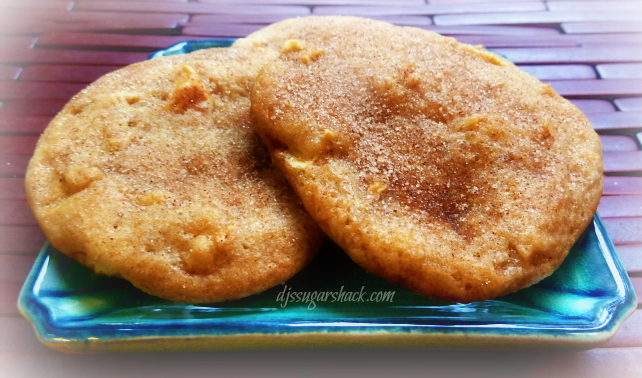 Delicious apple cinnamon cookies stuffed with caramel. This perfect is perfect for the holiday baking season. In a small bowl toss diced apples with 1 tablespoon of the flour and 1 tablespoon of cinnamon. Set aside. In the bowl of a stand mixer cream the butter, sugar and brown sugar together until smooth. Add the egg and vanilla & continue to beat until incorporated. On low speed, add the flour mixture one cup at a time until just mixed. Using a large spoon, scoop out about 1heaping tablespoon of dough; stuff caramel into the center of the dough. Roll dough into a ball around the caramel. 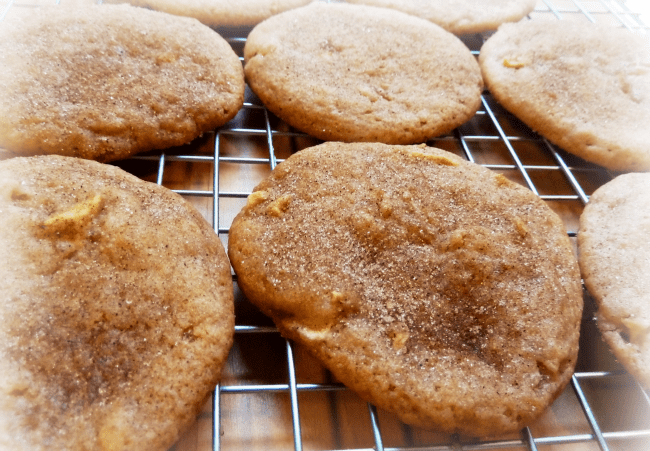 Place 2 inches apart on parchment lined baking sheet. In a ramekin, combine 1 tablespoon of sugar and 1 tablespoon. Sprinkle mixture over cookies.